Gather 'round, preppies. We bring good tidings from the land of Saved by the Max, that "Saved by the Bell"-themed pop-up diner in Wicker Park you may have heard about by now. Armed with a 10 p.m. reservation on a Monday night (yeah, it hurt a little), we prepared to be transported back in time to our favorite '90s sitcom. Two hours and three courses later, we forklifted ourselves out of the restaurant and back into 2016, where everything felt a little brighter. Perhaps it was the neon lighting, but we’ll take it where we can get it. Saved by the Max is a nearly flawless dining experience, but there are a few things you gotta know before you go to optimize your tummy space and Instagram opportunities. This is a must to understand the crazy accurate interior design happening at Saved by the Max. From the neon pink signs and colorful booth seating to the glass-tiled windows and ’90s-tastic spikey cutouts on the walls, the Wicker Park restaurant could easily pass as the sitcom’s diner set. Lucky for you, the hit show is available on Netflix for easy bingeing. 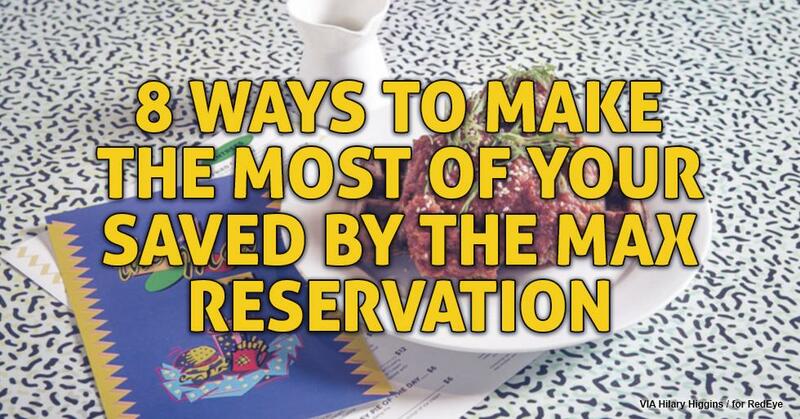 Click here for seven more things you must do before, during and after your reservation.